Today, before we dive into our link party, I have a special giveaway for you: a Bloom Collection Bible from Zondervan Bibles! These Bibles are so beautiful and stylish. Plus, they are perfectly sized for portability. 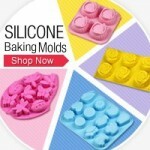 I love that they fit in my diaper bag, purse or camera bag beautifully! Zondervan sent me several of their pretty Bibles to try out and they offered TWO of my lucky readers one Bloom Collection Bible of their choice: either the Red Poppies or the White Lillies. Both are gorgeous, soft and perfectly sized! And, the translation is NIV. Don't forget that Mother's Day is coming up and this would make a great gift idea for your mom! I won't make you jump through any hoops to enter this drawing. Simply tell me what Bible you would choose and if you'd keep it or give it away! If you'd like to help spread the word about these Bibles and this giveaway, I'll give you extra entries for tweeting or posting on facebook about it! 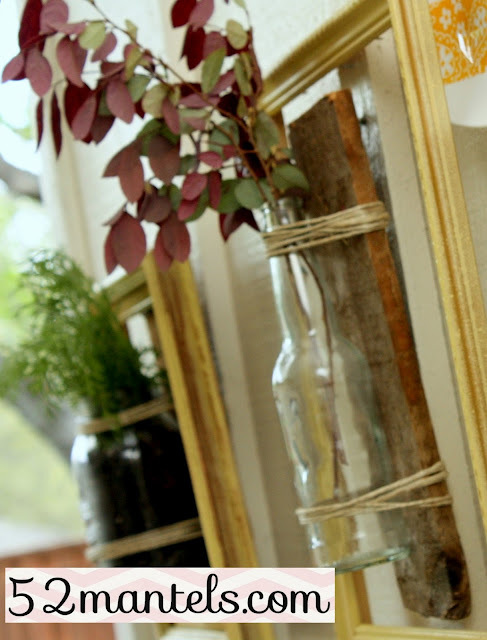 Last Friday, I shared my final project for the finals of American Crafter: My Laundry Room Makeover! I'm happy to say, this room helped me win first place this season!! 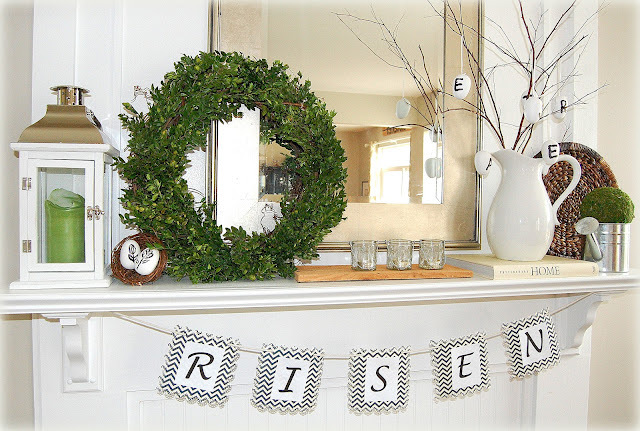 AND, I also shared a bunch more mantel features to help you get your Spring/Easter mantel on! Plus, I showed you some awesome features from LAST week's party! I would choose the red poppy Bible please! Oh, thanks for not making us jump through hoops! What a great giveaway - those Bibles are beautiful. I'd pick the poppies for my oldest daughter. 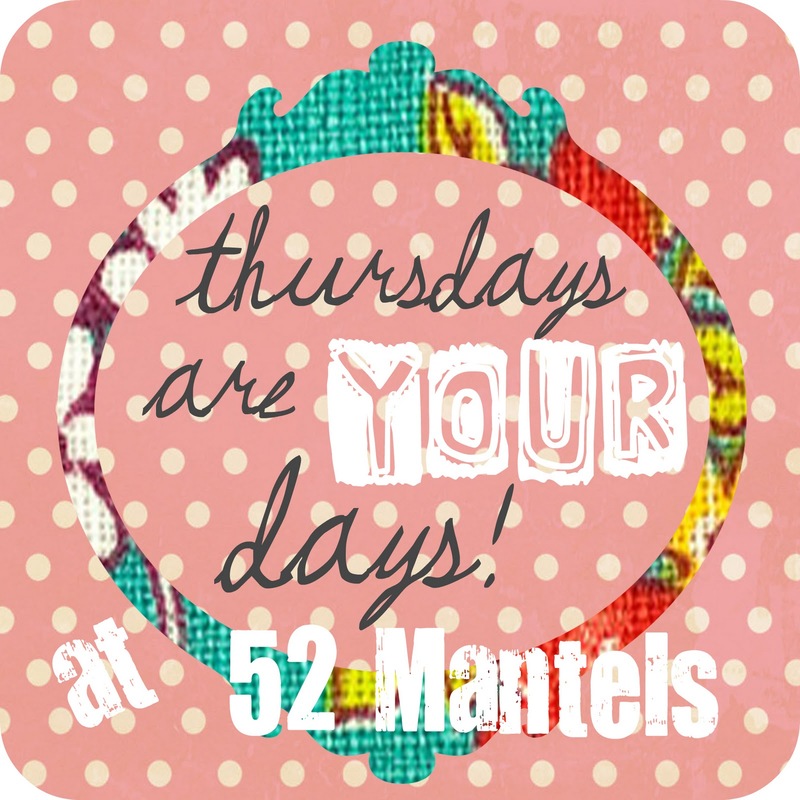 It's been a fun week here at 52 Mantels - I've really enjoyed all of your posts. And congrats on your win!! I posted giveaway on FB and if I was blessed to win a Bible, I would give it away and plant a few seeds in the family. I love the poppies, I have been lloking for a bible to carry in my bag, the one i have now is my late grandfathers and Im sorry to say it is needing replaced! I think I would want the one with Poppies on it. Congratulations on winning, Emily! What an honor. Thanks for hosting! I would like the Red poppies Bible! Love the Red Poppies! Not sure if I'd keep or give it to my mother in law. Thank you for a sweet party Emily!! What a great giveaway. Love these bibles and I could use a new one. Whoops..forgot to add that I love the gray with the circles. But, all are pretty. I have one very similar to the poppy one! I love them! I would be happy with either, and would give it away! They are great bibles! Thanks for the giveaway! 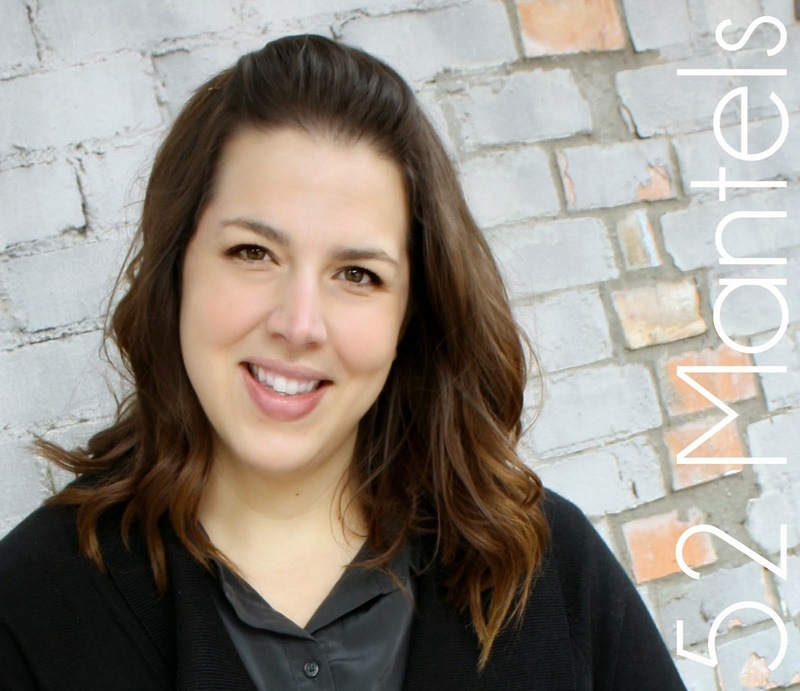 Awww...such a treat to link up on your FUN blog!!! Thanks for hosting! I love both Bibles - either one would be wonderful! Thanks again for hosting the Blog hop/linky party! I love the red poppies - and selfishly would keep it for myself since I'd love a smaller one! 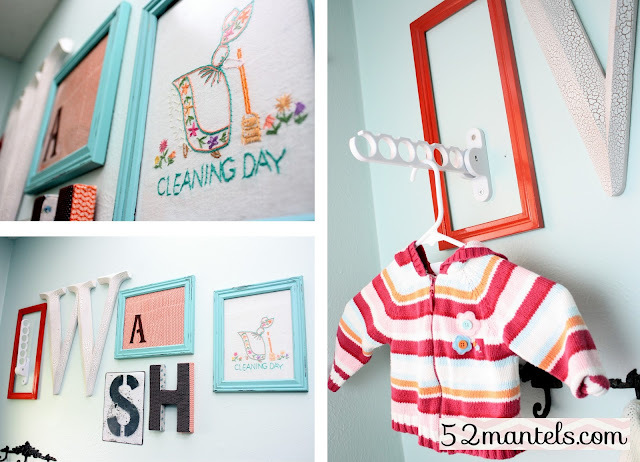 Your laundry room decor is gorgeous - I'd do wash all the time if mine looked like that!!! Pinned! The red poppies are lovely-- I might keep it for myself- thank you! Hey Emily! I love the bible covers! Either would be great :-) I love the red though! I would keep it, I really need a smaller bible. Thanks for the chance! (And congrats again!!) I'm linking your laundry room in the post I'm writing now! I would probably go for the Red Poppies, but love them both, and I would typically say "I'd give it away" but I dropped my bible in the toilet (true story) and all the pages are swollen and crinkly so this time...I'd keep it! The toilet was clean, by the way! Hi Emily! Thanks for the linky party AND the giveaway. I'd love to win the red poppies Bible. I'm currently in Italy, and just the other day stopped to admire some wild red poppies growing along the side of a bridge in the sidewalk cracks. Gorgeous! Thanks for hosting Emily! I love both the Lily and the Poppy Bible. I love any Bible. (I also love my Zondervan's Handbook to the Bible.) I would love a small Bible that fits in my carry-on when I travel. Like my sister, I'm afraid to travel with my daily Bible....with all my years of highlights, notes, etc., I would be seriously sad if I lost it! Thanks for hosting! Both the giveaway & the link party :) I love the Red Poppies cover, it's beautiful! Thanks for this great link party Emily...Happy Easter! Those really are beautiful Bibles. I would choose the Red Poppies and give it to my daughter. 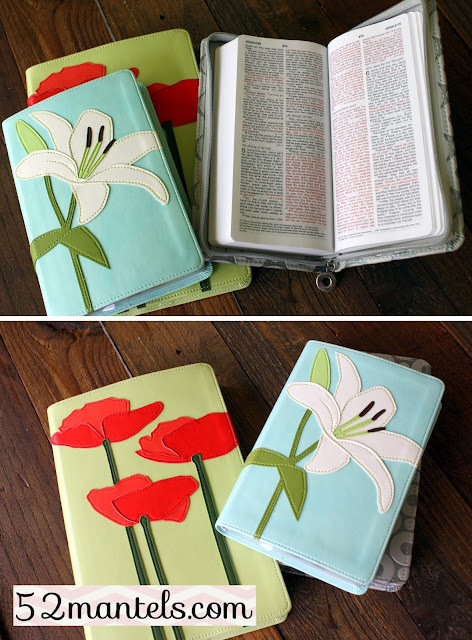 i love the poppies.... i would keep it because i would love to have a smaller bible to carry with me in my purse. thank you for the chance to win! Thanks for hosting! I alwys look forward to your party each week! Thanks so much for hosting :) Hugs!! would love the red poppies, keep it for myself and pass on the one I currently have to someone else! Thank you for hosting! What a sweet giveaway. I have a thing for bright colors, so it would be the poppy one for me!! I would most likely gift it as there truly is no better gift than receiving God's word! Beautiful! I would love the white Lily. Congrats on your win and thank you for constantly inspiring us!! Hard to choose, both Bibles are beautiful. Think I would choose the red poppies! And I would keep it so I can have a smaller one to keep in my purse. Beautiful bibles! I would choose red poppies, being in CA and poppy is our state flower. And it's a beautiful cover! Love them. The red poppy one is my favorite. I'd keep it for my purse! Thank you and happy Easter. I would choose the White Lilies bible.